Why is mold testing in Philadelphia and New Jersey so important? The answer is, because it’s the only way to know the amount of mold you may be living and working around and how extensive a mold contamination may be. Eco Tech will send certified mold technicians to inspect your home or place of business. Using several different methods, we’ll find out how much of a mold problem you have. Did you know that virtually every house, office, warehouse, etc. – particularly in the humid northeast – contains some level of mold? The question is, how much? Mold testing in Philadelphia and New Jersey is the way to answer this question. Following a thorough inspection, Eco Tech will begin the process of safely removing this potentially harmful substance, wherever it is growing or has spread. Mold can grow just about anywhere, but areas with dampness and poor ventilation are almost sure to be contaminated with mold. What can mold do to me? It can cause upper respiratory symptoms like wheezing, sneezing, coughing, sinus congestion and itchy, watery eyes. Some studies link exposure to toxic black mold to lung disorders, cancer and brain damage. Call Eco Tech and ask about a professional mold inspection. Call 833-277-3100. I have mold - how concerned should I be? Many people may consider mold an inconvenience in their damp basement or attic. But mold can be much more than just an inconvenience-mold can affect your health and the integrity of your house. Left unchecked, mold can go from being a manageable situation to a very big problem. It is important to contact a certified mold professional or mold Inspection Company as soon as you discover you have a problem to prevent the spread of the contamination to additional areas of the home or business. 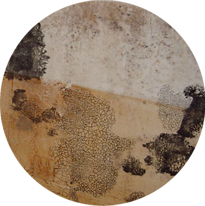 Molds are forms of fungus that are found naturally in the environment. In this natural environment molds play a big role in the breakdown of wood, leaves and other plant debris. Molds come in a variety of colors, shapes and sizes. Molds can appear fuzzy or in circular patterns. Very often a musty odor will be noticed where mold grows. Mold creates tiny spores during reproduction just as plants produce seeds. If mold is growing indoors these spores move through the air and may settle on particular surfaces. If these surfaces happen to be damp or are in areas with high humidity then the spores will begin to grow and multiply very rapidly. Molds needs a food source as well as a regular source of moisture. Common household items provide an excellent source of food for mold to proliferate. These items include; fabric, wood, sheetrock and sheathing, but molds can grow on almost anything. While these food sources are normal parts of your home, it is the source of moisture that is the limiting factor. When there is a damp surface or material that is not properly dried after a flood event or an indoor plumbing issue, molds can grow in as little as 24 to 48 hours in the area. An extended period of relative humidity of 50% or higher inside a home can quickly lead to mold growth. 1.) Toxic mold has been shown to cause a variety of health symptoms, such as itchy, watery eyes, nasal congestion, skin rash and more. 2.) You can find mold just about anywhere, both indoors and outdoors. Preventing it indoors involves minimizing moisture and providing good ventilation.